During this year’s presidential primary, New Yorkers across the state discovered something that voting rights advocates have been saying for years: New York’s elections are a mess. During this year’s presidential primary, New Yorkers across the state discovered something that voting-rights advocates have been saying for years: Despite the state’s progressive reputation, New York’s elections are a mess. Approximately 120,000 people were inexplicably purged from the voting rolls in Kings County. Others had their party affiliation switched without their knowledge—leaving them unable to vote in New York’s closed primary. Polling places didn’t open on time or closed early. And millions didn’t get to vote because they did not register with the Republican or Democratic Party—a decision they would have had to make by October 9, 2015, 193 days before the primary. All of this led to an embarrassingly low turnout: As Ari Berman pointed out at The Nation, with 19.7 percent of eligible voters casting a ballot, New York had the second-lowest turnout this primary season, second only to Louisiana. Even before Tuesday’s debacle, voting-rights advocates have been fighting for reforms that could change this. One law introduced in the legislature, the Voter Empowerment Act, would implement automatic voter registration, expand online registration, ensure that voters’ registration moves when they do, introduce pre-registration for 16- and 17-year-olds, and create registration opportunities at more government agencies—all changes that would make the process of registration and changing one’s registration easier and more streamlined. But that’s not all we need. People in states like North Carolina were rightly outraged when their statehouses cut down on their early voting days, but New York State doesn’t have early voting at all. This needs to change. Allowing voters to cast their ballot on more than one day—a weekday, no less—is absolutely necessary if we are to ensure every citizen can participate in our democracy. And finally, we need to move both the deadline to register AND the deadline to change one’s party affiliation closer to election day. Same-day voter registration—while it would require a state constitutional amendment to implement—would be ideal and ensure that even voters who are moved to participate at the last minute can exercise their constitutional rights. At the very least, the deadlines to register and change one’s party affiliation need to be moved as close as possible to election day. 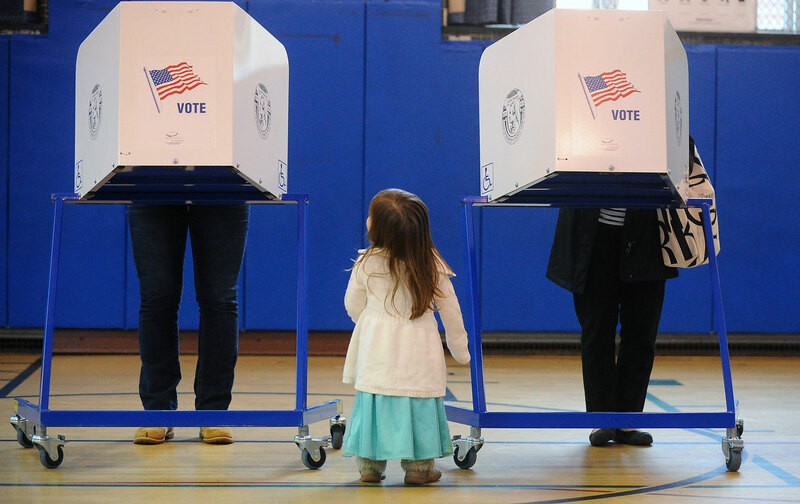 Join The Nation and the Brennan Center for Justice in calling on the New York State legislature to pass the Voter Empowerment Act and other reforms that would begin to make it easier for citizens to exercise their right to cast a ballot. Ari Berman, who has covered voting rights extensively across the country, raised the alarm regarding New York state’s elections just before this year’s primary. Read his report on the eve of the primary and his analysis of what happened on Tuesday.